Jonathan joined MHBC in 2017. He provides land use planning advice to private and public sector clients on a variety of land use planning issues relating to Official Plans and Zoning By-law Amendments, subdivisions, site plans, consents and minor variances. He also assists in the research and planning analysis for the preparation of a range of development applications. 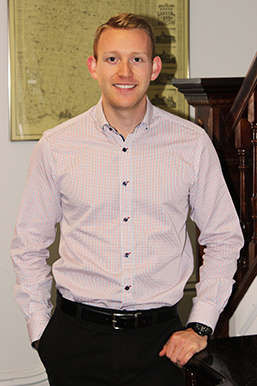 Prior to joining MHBC Jonathan has had experience working in the public sector at the Township of Tay. Jonathan completed his graduate work with a focus on sustainable shoreline development. He also completed his research in the use of green infrastructure in the planning of healthy rural communities and presented his research at the 2016 OPPI Conference. Jonathan received his Honours Bachelor of Arts and Science (HBASc.) in Geography from Lakehead University, and his Master of Science (MSc.) in Planning from the University of Guelph.